Pain relief oil is essential for anyone with an injury. Lovely shop and wonderful owner!.. Pain relief oil is amazing! I run 100+ Km a week and it is a godsend on my knees and back!.. We had a fantastic experience in your shop! We can’t wait to try our Pain Relief oil and the Facial cleanser. Thank you so much for your suggestions on our skin and health care.. I can’t find this special smell anywhere (referring to Seducing essential oil). Will come back again..
I’m in pain (my finger) and I try the Pain relief spray and Pain relief oil, and after 10 – 15 mins. I feel better. Thanks..
Fire aromatherapy massage oil is my favorite. They can solve my rash allergy problem and my skin tone gets brighter..
My Husband and I love the Pain Relief oil. It helps to give us a relaxed sleep, recovering pain and tiredness. My husband suffered a severe foot injury and has few operations. The oil helps him to recover from pain and swollenness. Many thanks to Ojas.. Very good products!! Came back for more after one month..
Dr. Hansa is a very nice and strong lady. My friend and I come again and again. Support Her, Support Ojas.. Thank you so much for your time and advice! I really look forward to start to use this product. I will email my experience. Take care ..
Use Hair tonic + Hair Growth for more than 1 year now.. I can’t say how much I love these products as they really did help my grandma & my family. All my gratitude is beyond words. My grandma who is 85 already went through a terrible 3-month hospital time under the effects of these lovely oils with much less pain & made it over her heart operation. You can feel the difference due to the doctor’s hardworking & compassions from other oil products. Really do feel grateful as I finally meet Dr. Hansa today!.. We have used the pain relief oil and it has given instant relief. Very happy with the products & will come back to buy more products. Good luck.. 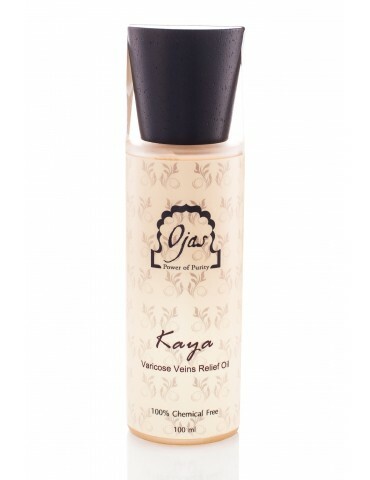 I tried Facial Cleanser from Ojas and with my allergy skin was perfectly fine on me. My rashes on my face even healed slowly. 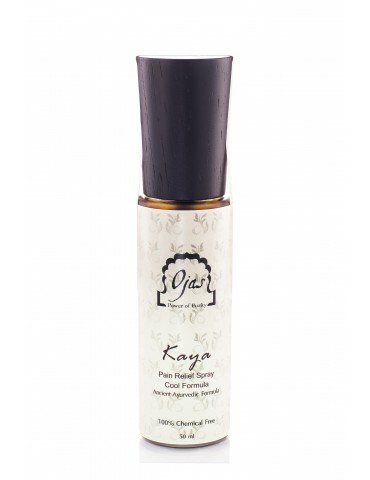 Dr. Hansa is a pleasant woman who believes in her products and gives advice for customer interest and not her own sales..
I’ve used the oil for varicose veins. It is top quality with moisturising excellent properties without being oily. I would recommend making a version as a body fragrance. For the specific issue of varicose veins, it is difficult to see results too quickly..